Pianola Plus will help you improve your game by showing you detailed information about your strengths and weaknesses. Try it free of charge for 30 days - with no obligation to buy and no credit card required up front. Want to improve your card play? 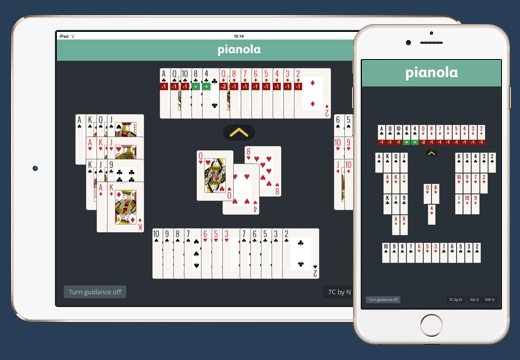 Pianola's Replay feature lets you play your hands again with card-by-card guidance about how you can make (or defeat) a given contract. Using exactly the same algorithm as is used to calculate the makeable contracts we'll show you the optimum line of play, whether you're declarer or defender. 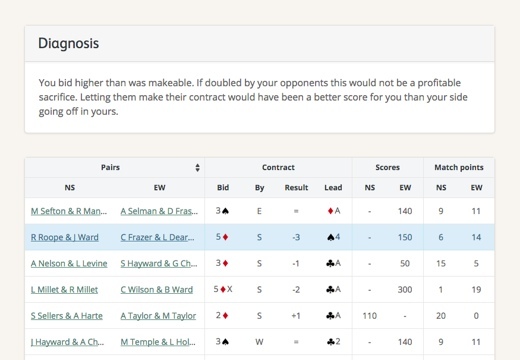 Pianola Plus gives you a breakdown of your bidding and card play for each session and compares it to the best in field so you can see where you need to improve. Ever wondered how to make the extra tricks that other people took? Can't see how to make the contract that the hand record says you should? Pianola Replay will show you. It lets you play any again, with card-by-card guidance. The session report gives you a complete breakdown of the game, including a text summary of your performance, the boards you played in each role and what was your average score in each case. 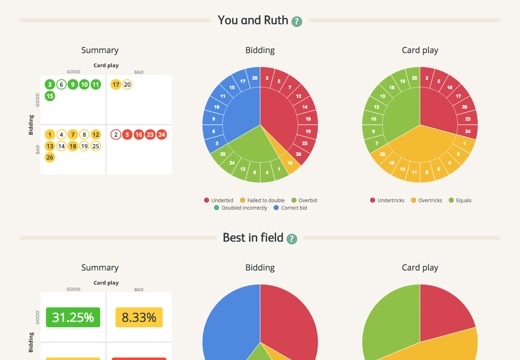 It shows your bidding accuracy and card play ability for each board, and how this compares to the best in field. 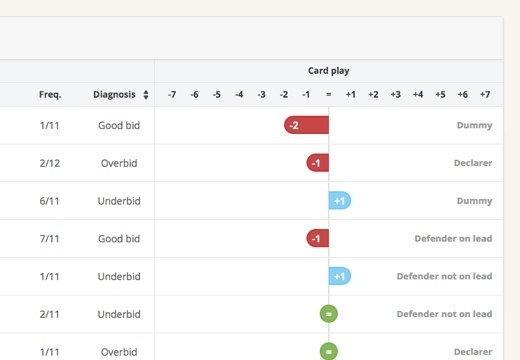 Get a detailed breakdown about which boards you’ve underbid, overbid or failed to double correctly. Pianola Plus will even spot where you could have made a profitable sacrifice - or avoided an unprofitable one. Want to read more? Download our comprehensive user guide and learn the ropes.